Hello and Welcome to the CM Bloggers' Halloween Blog Hop! 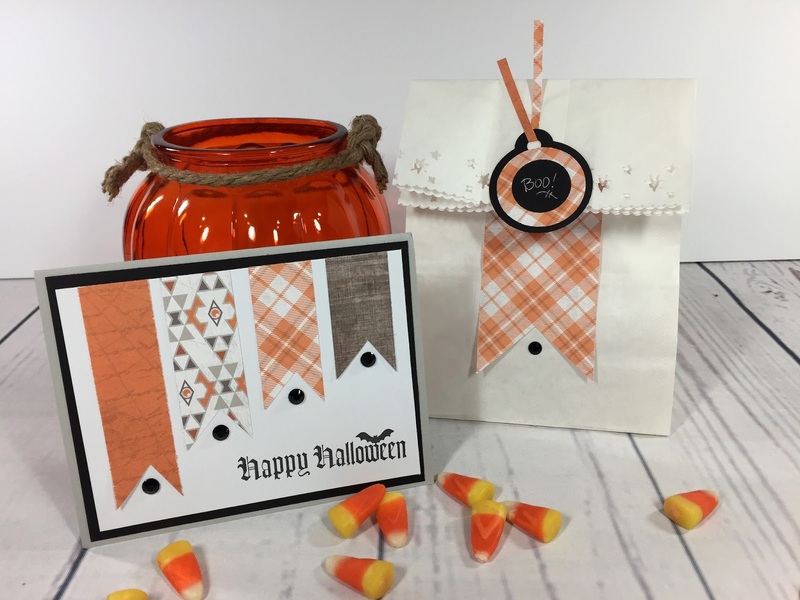 Today a few of the former CM Content Contributors are sharing some spooky good ideas to create Halloween themed scrapbook layouts, crafty items and even Home Décor projects! Make sure to check out all the blogs included in todays hop...you'll find them all listed and linked at the bottom of this post! 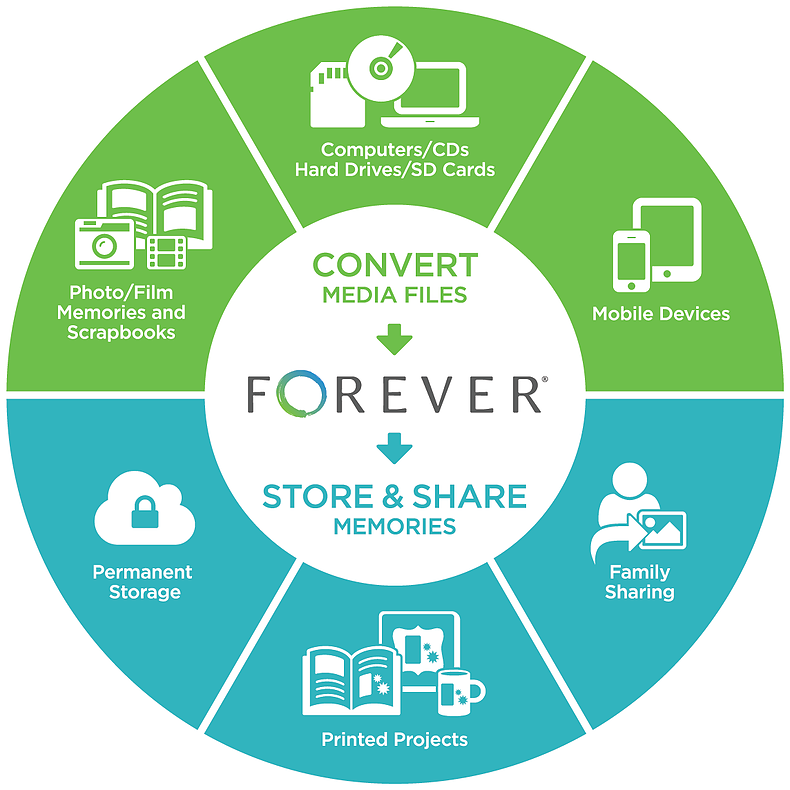 I think I speak for all of the former CM Content Contributors when I say that we were so thrilled and honored to work with Creative Memories to create and share ideas with all of you that, when our terms were up, we just couldn't imagine NOT continuing to create and share! So, we decided that we would continue to work together to offer you even more tips, tricks, projects and of course, fun Blog Hops! Although not all of us are participating in today's Hop, we are all excited to be involved in future collaborations! 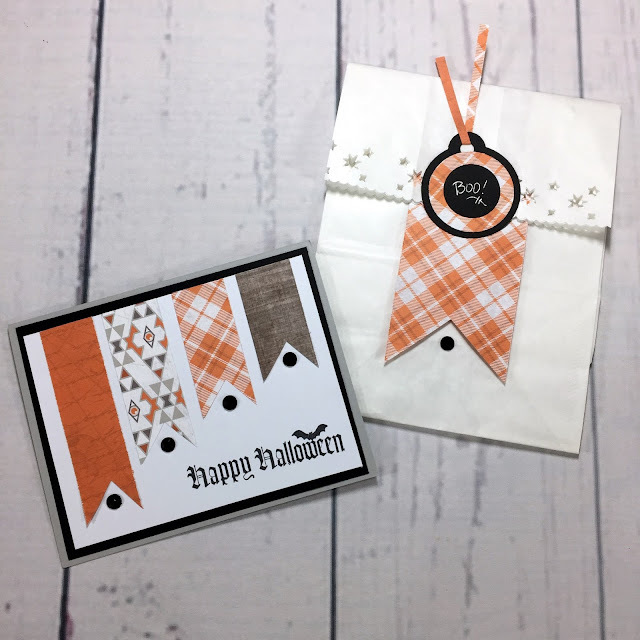 I'm happy to be up first to share a couple of very easy, yet super cute projects with you - a Halloween Card and Treat Bag! I developed these projects as Make & Takes at my recent Croptoberfest Retreat and all of the lovely ladies attending enjoyed making them - and some even made multiples! When I do Make & Takes for a large group, I like to showcase CM papers (I used CM's new Bats in the Belfry papers here!) along with a few other inexpensive items so they are economical to make in large quantities. 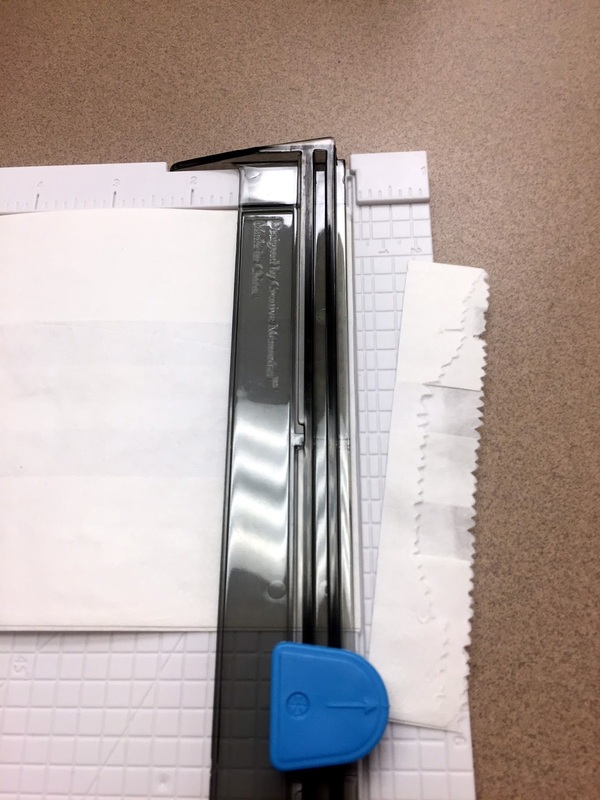 I precut most of the pieces ahead of time, but if a CM tool needs to be used, I encourage my ladies to do that part on their own so they can experience our amazing tools first hand. 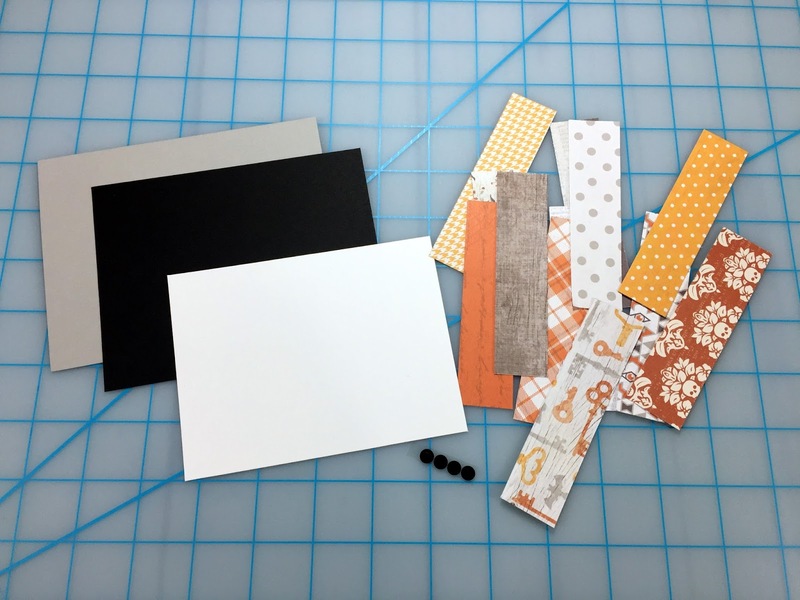 If you're not creating Make & Takes, then these are great projects to use up scraps and other items from your crafty stash! Cut a 4.25" x 11" piece of Gray cardstock to use as card base. Score in centre and fold. Cut a 4" x 5.25" piece of Black cardstock. Centre and adhere it onto the gray card base. Cut a 3.75" x 5" piece of White cardstock. 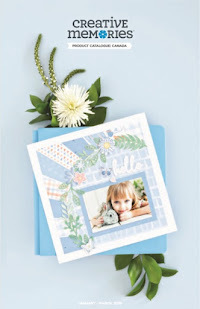 Stamp a sentiment or add a sticker to the lower right hand corner. Choose four 1" strips from your scraps. Using the photo as a guideline, snip a triangle from the bottom of each piece to form a banner/pennant, making each one slightly shorter than the previous. Arrange equally along the long edge of the white cardstock and adhere. Mount the completed white cardstock piece on top the black cardstock. Add a rhinestone gem under each pennant to complete. 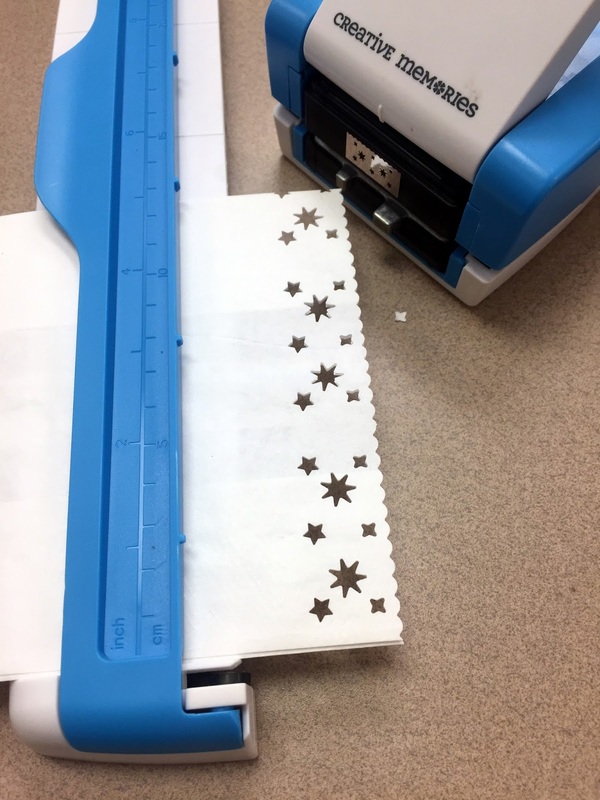 Use the Border Maker System with the Midnight Star Cartridge to punch out the design along the top edge of the bag. Fold over about 2.5" inches. Cut a piece of decorative paper into a 2" x 4" strip. 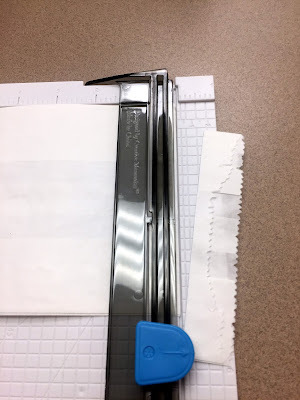 Snip triangle into the bottom to form a banner/pennant shape with the scissors. 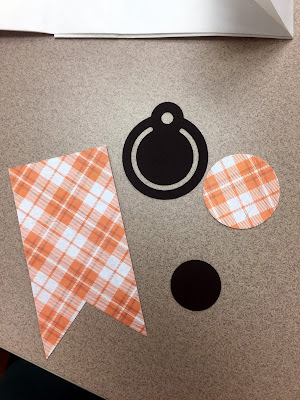 Punch a Circle Tag and a 1" circle from solid cardstock (I used black). Punch a 1.5" circle from a coordinating piece of decorative paper. Create the tag by layering the circles on top of the circle tag. (Tip: If you don't have the Circle Tag Punch and other circle punches of various sizes to layer, try creating your tag using a strip of paper and round the corners with the Two-Way Corner Rounder! Finish it off by punching a hole in the top edge.) Place a small sticker on the uppermost circle, or write a small sentiment like "Boo!" on it with the Silver Pen. Assemble the pieces - Unfold the bag and adhere the banner just below the fold. Add an Adhesive Rhinestone Gem under the banner. Re-fold the bag and adhere the tag overlapping the edge of the bag. Trim a long skinny strip of decorative paper and thread it through the hole in the tag. Adhere into place. (Alternatively you could use a piece of ribbon or twine.) Don't forget to fill your bag with treats! 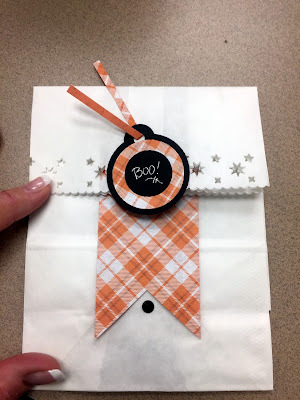 Now, on to more Halloween goodness...Karyn is up next with the cutest Home Décor project ever! Then, make sure to visit all five of our stops in todays hop and leave us a little love in our comment sections! 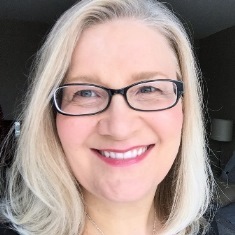 Stop # 1 - Noreen Smith's blog - you are here! 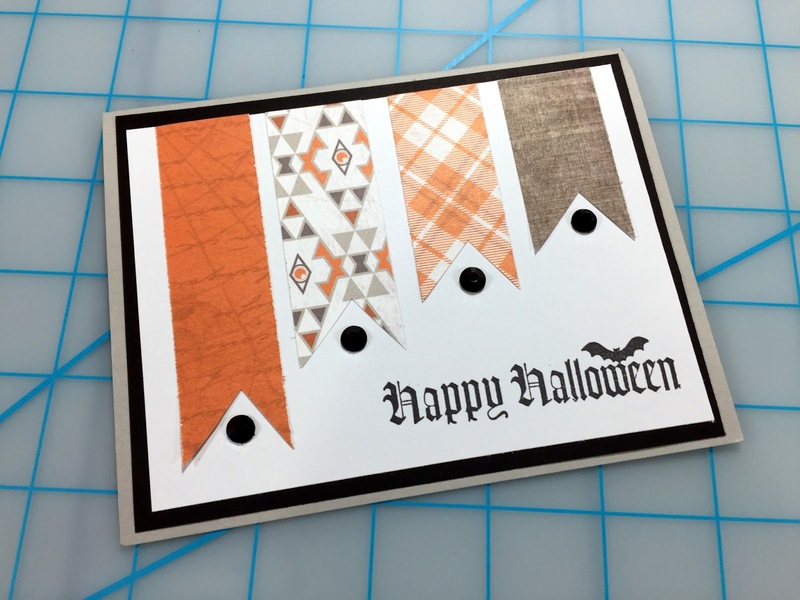 Happy Scrapping and Happy Halloween! Thanks Velia! Glad you hopped by! 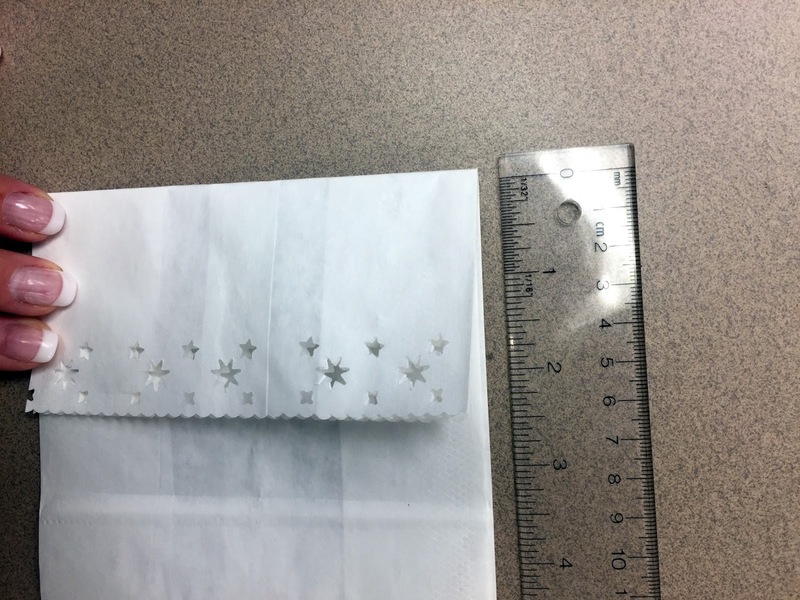 I can't wait for my midnight star cartridge to get here so I can make these bags! I love all your ideas. Thanks Michelle! Hope your cartridge gets to you in time to make some of these cute bags! Have fun! CM has always had cute Halloween paper, but I think Bats in the Belfry is the best yet! I like the simplicity of the card and treat bag, Noreen. Quick and easy projects! Great ideas, Noreen! I especially love your treat bag - easy to duplicate but very cute!